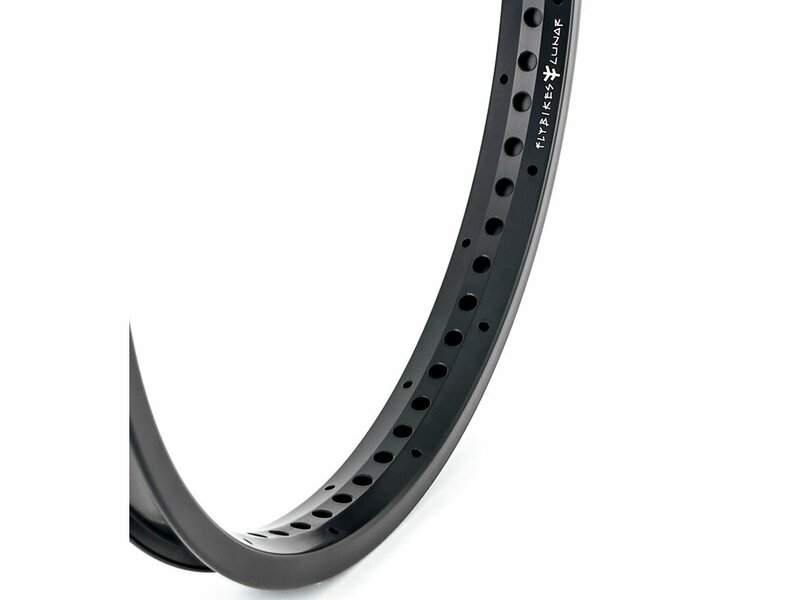 The Flybikes "Lunar" Rim includes a greater spoke offset for increased stability and refined adjustability, an overall taller shape, deeper rim bed for easier tire installation, thicker sidewall thickness for dent resistance, a rim lip that helps avoid pinch-flats, all rounded out with a perfect 34mm width. The Flybikes "Lunar" Rim can be use as front or back rim and will work with brakes. The lacing is regurlar.